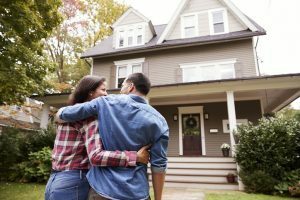 For the first time home buyer excited about purchasing their first house, homeowner’s insurance might not spring immediately to mind. In fact, homeowner’s insurance – or, in this case, first time home buyer insurance – is not even required by law, unlike auto insurance. However, first time home buyer insurance is required by mortgage companies to protect the lender’s investment, so it’s important to understand the ins and outs of homeowner’s insurance so you can protect perhaps the biggest asset you’ll ever own. Too many first time home buyers leave homeowner’s insurance to the last minute. This mistake can leave you with limited options and cause you to rush your decision-making. That’s why it’s so important as a first time home buyer to talk with a knowledgeable agent here at Keating Agency Insurance. We can help you protect your new home and your peace-of-mind.